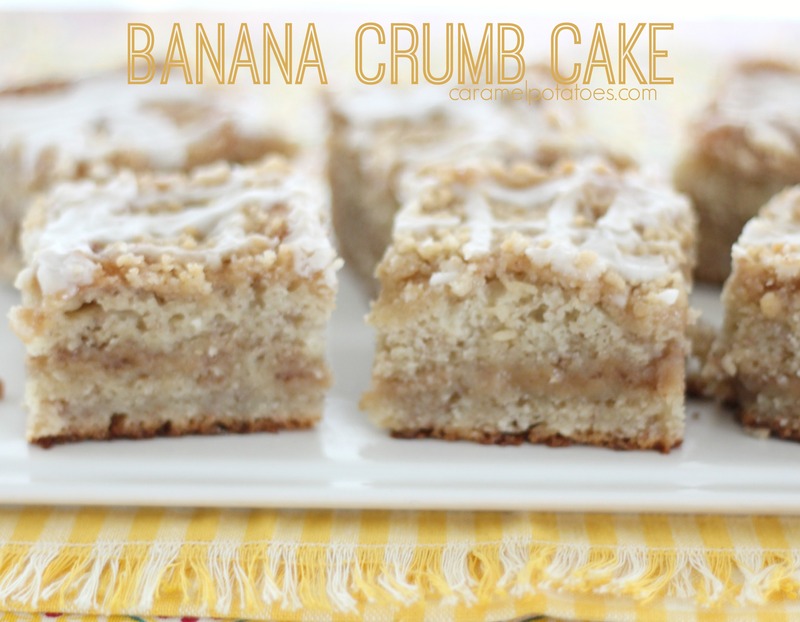 I tend to always go to my favorite banana recipe when I find those extra bananas turning dark – I’m sure you have your favorite too; however, if you want to bump things up a notch, this Banana Crumb cake adds an extra layer of crumb filling and topping plus a drizzle of frosting to make an incredible banana delight! 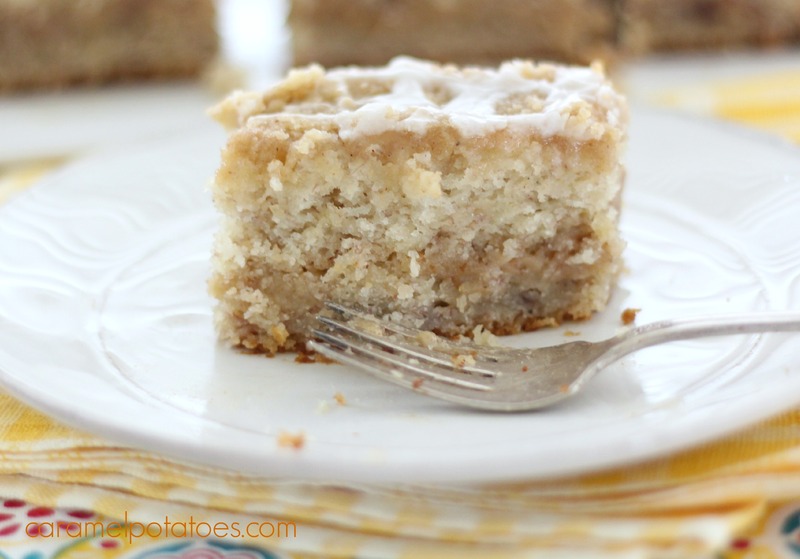 This cake is perfect for breakfast, brunch, dessert, or just a fabulous afternoon snack. Preheat oven to 350 degrees. Spray a 9×13 baking dish and set aside. In your mixer bowl, beat the bananas until they become liquefied. Mix in the butter and sugar until combined. Add the eggs. Turn mixer to low and add the vanilla and milk. Slowly add the flour until incorporated. 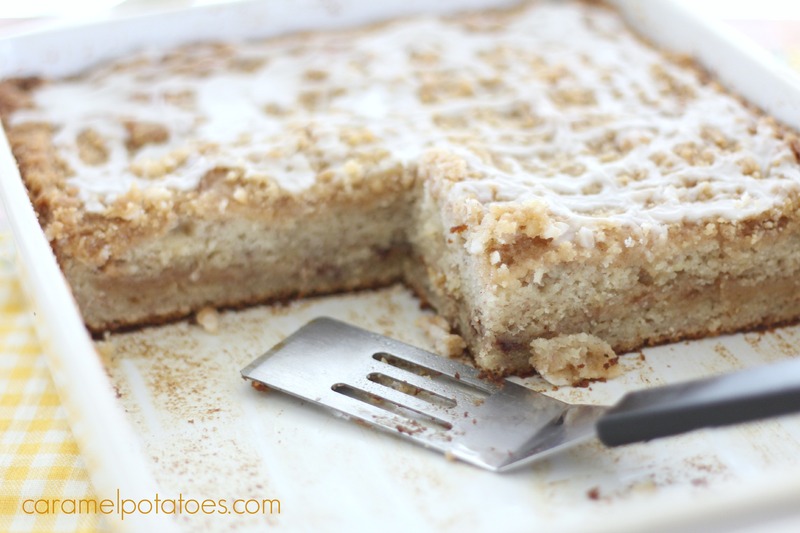 Prepare the crumb filling/topping by combining the sugar, flour, and cinnamon in a medium bowl. Cut in the butter with a fork or pastry cutter until coarse crumbs form. Pour half of the batter into the prepared pan. Top with half of the crumb mixture. Cover the filling with the remaining batter and top with remaining crumb mixture. Bake for 50-55 minutes or until the center is set and a toothpick comes out clean. Cool for 10 minutes while you prepare the glaze. To make the glaze, whisk the powdered sugar with 1 tablespoon milk in a small mixing bowl. Add additional milk until you reach desired consistency. Drizzle over cake. Note: Can be served warm or at room temperature. I think it is best served the next day- it gets more moist. Looks like a good recipe. I want to try and make this tonight.